Me-Made-May Support Group: Let's Do This Thing!!!! So here we are my Me-Making friends, on the starting line of a month full of challenge! Whatever the criteria you have set yourself for your own personal challenge, I wish you all the best and an enjoyable month. Phew! That took some organising! All the Me-Made-Mayers in alphebectical order, as their names appeared in my comments sections. If you don't see your name on the list and you did sign up, forgive me, please leave me a comment on this post and I'll correct my mistake asap. If you see your name on the list and are NOT taking part, or I got your link wrong, or you prefer to be called by something else, etc. etc. also please leave me a comment and I'll sort it out. Otherwise, for obvious reasons, as they say in all good telethons "Lines are now closed" for entry! 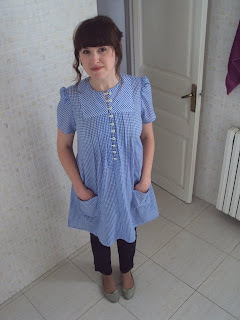 This week over at Colette Patterns I got a bit confessional and a bit needy. You see, until recently, I harboured something of a dark secret: I’m obsessed with making multiples of the same sewing pattern. I feel I have made a good case for justifying doing so, mind. All the hard work fitting your toile/muslin/first attempt, figuring the confusing instructions and of course the expense of the pattern in the first place: these are all good reasons to use the pattern multiple times. 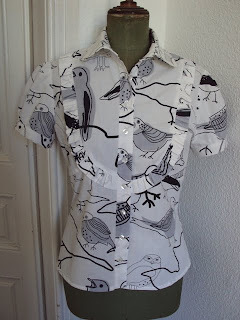 ‘So, what?’, I hear you ask, ‘You’ve made a couple of blouses from the same pattern before. And?’. 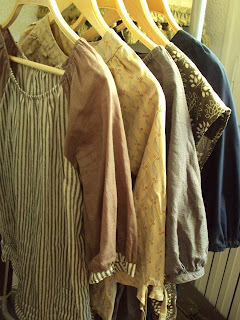 I mean I’ve made, like, seven garments from the same pattern in the past, with more in the planning stages. Every successful sewing project I’ve had I’ve either repeated or plan to repeat. My concern is: when does economic sense turn obsessional? I turned to the readers of the Colette Patterns blog for assurance I'm not alone. Although, no-one at present has 'fessed up to seven multiples, I feel I have a kindred spirit in Brooke who has clearly fallen hard for Simplicity 2614! See that? By all accounts that's what most of the Me-Made-May Support Group (AKA Me-Made-Mayers) look like right now: stitching like women possessed in preparation for May 1st. I know this because of the many blog posts, comments and discussion entries I have recently read and received on the matter. It seems that after Quixotic Pixels' inventory, I wasn't the only one inspired to make a wardrobe inventory, more beautiful and inspirational images have since appeared in the Me-Made-May Flickr Group's photostream. Click here to read the what some group members have had to say about their inventories. Armed with the knowledge of what they already possess, many Me-Made-Mayers have been making informed plans about what they are going to make. Click here to read the discussion on the subject. So, what have I been up to on the run up to Me-Made-May? Creating and maintaining the Flickr Group, including inviting and accepting members, for one. (Remember, Me-Made-Mayers, participation in the Flickr group, is clearly optional, but if you have a Flickr account and want 'in', email me your Flickr name to sozoblog@gmail.com, or find the group through a Flickr search and request membership, either/or.). In terms of my own personal Me-Made-May challenge preparations, I have actually taken a different tack to the majority of participants. 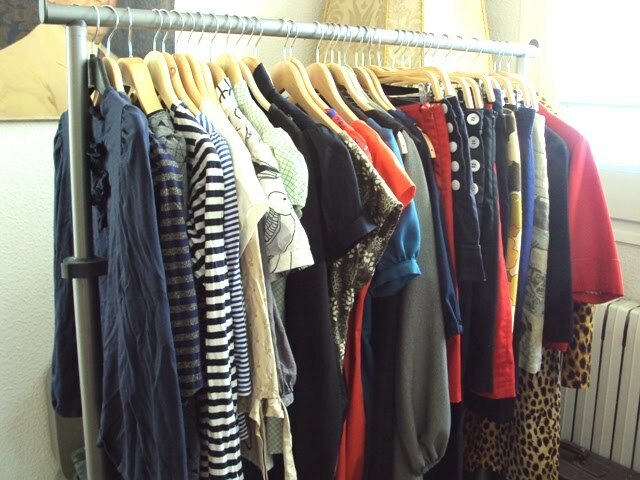 After my illuminating wardrobe inventory at the weekend, I found I have more than enough clothes, now the weather is warming up, to create a variety of nice outfits at least for the beginning of the month. Actually, and this may sound mental, yesterday I made the conscious decision to slow down my sewing. My reasoning is this: recently I have found myself becoming increasingly absorbed with the challenges I've set myself (Me-Made-May and Stash Bustin') and have turned myself into an obsessive one-woman clothes factory, at the expense of not only my other interests and activities, but also of the actual enjoyment of the sewing process. I've been attempting to eliminate my stash and stock pile the me-made garments so much that my constant planning of future projects has made whatever current project I'm working on almost an annoyance. I need to turn this sour situation around, slow things down and focus as far as possible only on the project in hand. I am lucky that my current job is largely part-time, which affords me quite a bit of free writing, blogging and sewing time during the week. I always tried to average an hour a days sewing, but recently have found that cranked to 2/3/4 hours a day, which I have resolved to take back down to 1 hour, to get things back into perspective. I don't like to show (or usually even mention) works in progress on my blog, for two reasons, a) I don't like to jinx a project by announcing my high hopes for it when it may well turn into a FAIL, and b) I don't think it makes for particularly interesting reading for y'all. Despite this, I will disclose that I am currently working on a pair of high-waisted, wide legged trousers in the blue fabric I recently bought. And I'm going to make them SLOWLY and carefully, and hopefully achieve a fantastic fit and overall nice finish. So, Me-Made-Mayers, perhaps you recall I promised a round-up post with everyone who had signed up to participate and links to their blogs (if they have one)? I seriously thought that was only going to include a handful of people, but now it's looking more like over 70! We ROLL DEEP! The reason I have delayed the post is that people continue to sign up daily, so have decided to create it on the last day of April (Friday). Tune in the check your deets and wallow in the joy of our little creative sub-community! Peops who are still umm-ing and arr-ing about if you want to play along, or haven't got round to letting me know, please do so before Friday to make my epic blogging task easier. Over and out. So I know that many clever Me-Made-Mayers have already taken the step to make an inventory of their Me-Mades in anticipation of the challenge. Wise indeed to undertake such a task, as it also gives you the ability to judge easier where your sewing efforts should be applied on the run-up to May 1st (and beyond). 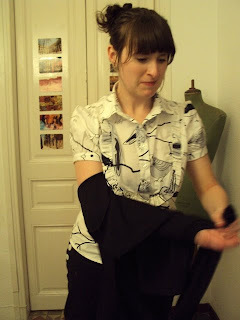 I guess I felt an inventory for Me-Made-May wasn't necessary as I survived Me-Made-March with only handmade clothes. You may recall from my bitchin’ and moanin’ during March, that my collection of handmade items is not exactly flooded with warm garments, subsequently I was confident I had enough clothes for May, and could focus on making more pizzazz rather than just sewing to bulk up the numbers. So it didn't really cross my mind to make an inventory. Then I saw ­­­Quixotic Pixels' photo, the first in the Me-Made-May Flickr Group’s photostream to be exact, and I changed my mind. Look at it! 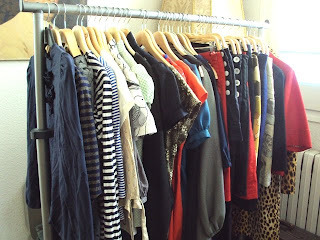 It’s such a beautiful, vibrant and colourful selection of lovely clothes. I couldn’t resist seeing what my Me-Mades would look like altogether. I’ve been stitching away pretty solidly for the last year since I got my sewing machine and overlocker sent over from the UK, creating various different garments here and there and then cramming them onto my clothing rail where I can find the space. But I’ve never taken a look at these items together, away from my thrifted and shop-bought (in the pre-WR days, of course) garments. You know what my handmade clothing looks like all together? (This may not come as a surprise to you but it did to me:) A Wardrobe! Can you believe it?! I’ve made a whole wardrobe! An entirely impractical wardrobe for a year containing cool/cold seasons, but a wardrobe nevertheless. Is it wrong to still feel some days like I have nothing to wear? I certainly often feel that nothing goes right with each other. Plus some of these things I wear very often, and some are lonely orphans. My aim, much like many other Me-Made-Mayers but all accounts, it to create workable outfits from my separates, and to find ways to bring the orphans into the fold. But I have to be honest, I always seem to think that the next creation I make will somehow magically bring everything together and make it a whole and complete wardrobe. I know it's ridiculous, but I can't let go of that assumption somehow! I'm about to make a pair of wide-leg high-waisted trousers and a pair of capri pants (see the fabric in my previous post) and I know that they are going to do just that! I also bought some fabric. Hold on! Before you fly off the handle about how I’m meant to be Stash Bustin’, let’s check the stats. Sarah at Color Kitten has had the genius idea of tracking her ‘ins’ and ‘outs’ of fabric yardage to check she is on the wagon with the Stash Bustin’. I wish I’d had the fore-thought to do that, but looking back through my blog since I started the Stash Bustin’ challenge at the end of January, I estimate I’ve used up approx. 24m to date (including the garments I presently have in progress but haven’t been unveiled on the tinternet yet). That's a lot of fabric! Me-Made-March was a motivator for some of the makery. I’m not sure I would have got round to attempting a cardigan, jumper dress or coat if the threat of a lingering winter hadn’t been present. 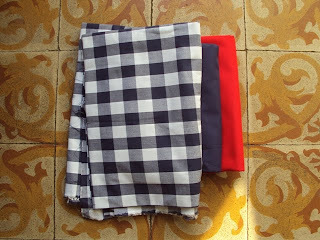 So, I feel justified in buying 1m80cms of blue cotton for a pair of high waisted trousers, 1m of red poly/cotton for a pair of Capri pants and 2m of awesome check cotton for a shirt for my boy. I promise that’s it until another significant chunk of fabric gets turned into wearable clothing. Promise. 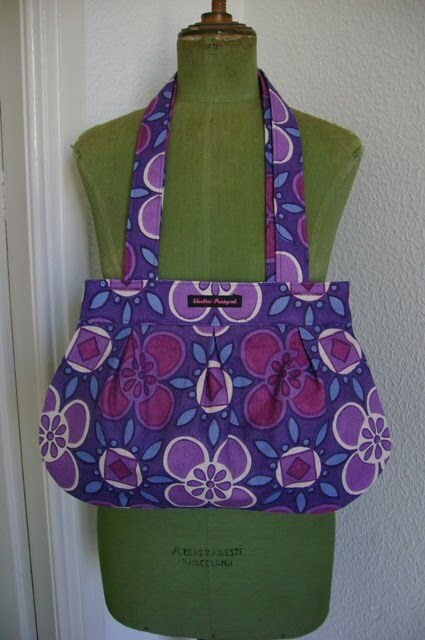 Me-Made Purple Shoulder Bag GIVEAWAY!!! 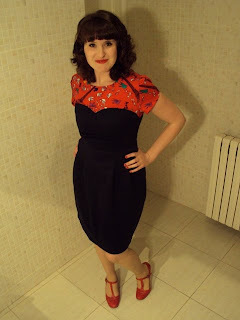 Do you remember that last Saturday I hosted a giveaway for a tunic dress I made that didn't fit me? Well, I'm am very pleased to announce that the random generator (generator.com, FYI) picked Chase, who happens to have a very sweet blog called Oh the Cuteness!. Giveaways are so much fun that I've decided I'm going to have a few more, one at a time, for a few weeks to pass on some stuff that I'm currently not using, in preparation for my cross-continent move. 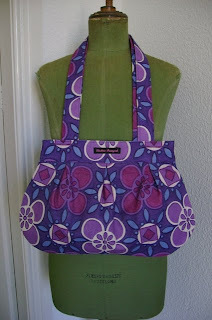 This week I'm offering up this unused shoulder bag I made from vintage fabric. A few years back, I used to have a stall at a handmade market in East London and have made a squillion of these particular bags in my time, usually in vintage fabric scored from charity shops of ebay. I have used these bags every day myself for years now, so can vouch for their practicality. The outer fabric is a sturdy synthetic of unknown type, probably from the late 1960's/early 1970's, in shades of purple, lilac, burgundy and white. It is fully lined with vintage floral printed cotton in coordinating lilacs, pinks and white. The black label you can see shows the name of my little accessories brand, 'Electric Pussycat'. If you would like this bag, either for yourself or as a gift for someone, and can promise me it will actually get used, then here's what you do: leave a comment on this post completing the sentence 'I would like this bag because.........'. I'll pick my favourite at midnight Thursday 29th April. Hint: a successful answer has to make me giggle. Good luck! I'm lucky enough to have a stash of Golden Hands magazines from around 1970/72 that my mate passed on to be when a mate passed them on to her. I could, and in fact have, spent hours on end flicking through them. 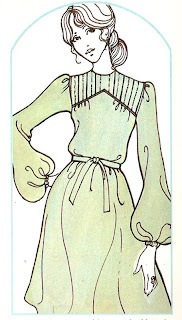 So much about them appeals, but something that I find particularly fascinating is the way in which home sewing came from a more art/crafted angle than today. It's almost like the fast-fashion mentality is so ingrained in our culture, that it has even spread to our passtimes. I am definately guilty of rushing through a project so I can wear it and begin the next project. I can't imagine possessing or deploying the patience required to produce the awesome appliqué bodice dress pictured above. So I wrote about it instead. Dearest Me-Made-Mayers (that's us in the picture above) and those who are still deciding whether or not to take the plunge and join us, I would like to take this opportunity to correspond with you directly. There are two main topics on which I would like to offer discourse today. The first of which: clarification of what the Me-Made-May challenge actually consists of. I see now, that in my haste to make the challenge as inclusive as possible, I have inadvertantly raised many more questions of which subsequent attempts to address have not been wholely sufficient. I would like to apologise for any confusion and hope today to settle these questions once and for all. I have received many queries in the vein of does handmade jewellery/altered or refashioned clothing/hand-knitted items/handmade clothes worn by my daughter etc. 'count'. The answer is: if, after the inclusion of your particular queried item, Me-Made-May remains a challenge, then 'yes'. But which I mean, if the result isn't in line with your normal life and requires extra thought, then it's still a challenge. For example, if you are considering including refashioned and altered clothes, but have a wardrobe which is half made up of such items, wearing one a day for a month isn't going to be much of a challenge. Maybe try and make it two items a day or something like that to raise the stakes a little. 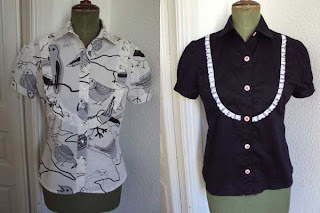 If you have a pile of rarely worn refashioned and refashionable clothes, then including refashioned clothes in to challenge would make sense as Me-Made-May will more than likely encourage you to rethink these items and how you can make use of them. You catch my drift? The 'rules' you chose to follow are yours, only you know what you wear at the moment, what would be easy to implement in May, and what would be more of a challenge. You decide the guidelines you want to follow, state them on your blog if you have one, and ENJOY! Secondly: I am very excited to announce that a Me-Made-May Flickr group exists! A couple of Me-Made-Mayers have asked this and I'm delighted to give you a positive answer. I never thought the challenge would become as popular as it has. I thought perhaps a handful of people would be interested, so popping round a few blogs a day would be managable and fun. But over 50?! To keep abreast of what everyone of up to through out May is going to be more work than making an entire handmade wardrobe! Plus there are people without blogs, but with Flickr accounts, who will subsequently be able to participate visually who previously wouldn't be able to. The Flickr group is obviously optional, do not feel obliged to use it, but it's there if you want to. I would also still encourage people with blogs to document their preparations and the month itself on your blog too. We are making mini-history, people! The Flickr group has been created as a way for us to share our Me-Made-May outfits which will obviously include or entirely consist of handmade (and/or refashioned, whatever your 'rules' are, see above) items and see what each other is sporting.It is a public group, which means anyone can view its contents, but you have to be a member to upload images. If you wish to become a member (or a Me-Made-Mayer, as I have named them in the settings) you of course first need to have a Flickr account. Then email me at sozoblog@gmail.com with either your Flickr screen name, real name or the email address linked to your flickr account, and I'll invite you via Flickr within a couple of days to become a member. Any questions? If so, either email me at that email address or leave a comment. I will still prepare a post just before May kicks off with a list of participants and links to all the blogs that have been left in the comments sections so we can keep an eye on each other that way too! Hope your preparations are going well and you are getting excited, I know I am! I've said it before and I'll say it again: I loves me a cute blouse!!! I love to make them and to wear them. 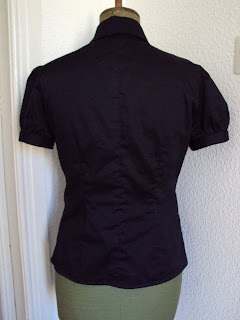 I particularly like short sleeve versions, but if I can feel the sleeve band around my upper arms at any point other than when I raise my arms up high, it makes me feel sort of claustrophobic, so I keep an eye on that when preparing the pieces. It may also have escaped your attention that I also loves me some nautical inspired garms. So I gues you can see that, with both the 'cute blouse' and 'nautical' boxes ticked, I'm feeling pretty vibed by my lastest project which I finished just last night. 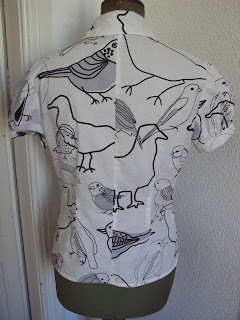 The pattern is this one again from the 1/2008 Burda magazine, the same one I used for my bird blouse. 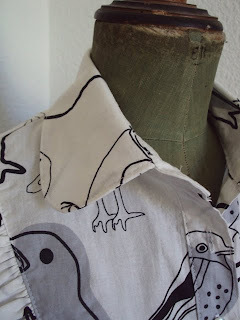 The bird blouse had been a general success, but I found the upper part to be a little on the large side, so this time round I traced a size smaller for the top and graduated down to the larger size at the waist and hips which worked a treat. Other than that, I followed the pattern as construction as before. The fabric used was a boooootiful piece of navy blue cotton sateen that I picked up in the reduced section of the main fabric store here in bcn which I'd had in my stash more or less since Christmas time. It was 1m 30cms long and I got it for €4, which was a bargain because full price it's €6 a metre. 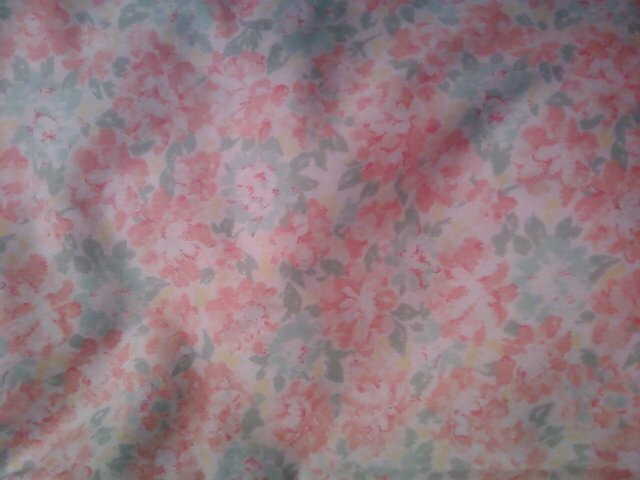 Jeez, I love cotton sateen, it's so soft and forgiving. 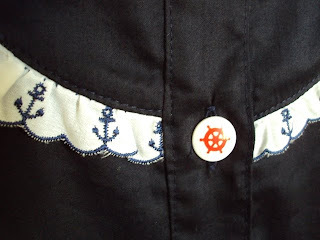 This time I used a shop-bought ruffle trim to highlight the bib section, the same trim I used on the nautical vest. 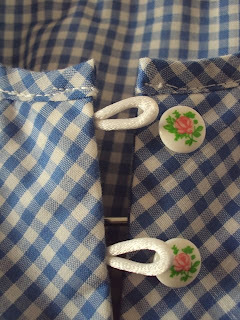 The buttons came from the button stall at my local flea market, and I think they perform admirably (nice nautical pun for your there) the task of preventing the blouse from looking too classy! I love the way you can produce totally different looking garments from the same pattern by chosing alternative fabrics and notions. After all the effort of tracing a pattern (though I didn't save myself that task again here because of the sizing issues) and/or purchasing the damn thing as well as figuring out how to construct it, it seems a shame not to make multiple versions of a pattern! 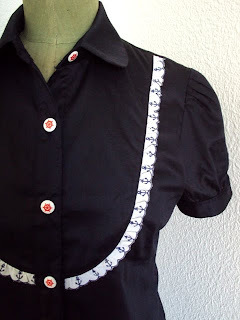 I still have another version of this blouse planned which I hope will look quite different once again. Sorry, no modelled photos of this blouse at this time, but I'm sure you'll see more than you can stand when I document my personal Me-Made-May challenge! So, the run up to Me-Made-May seems to me to be a good time to give away something me-made. Actually, I made this tunic a few months ago, but when it turned out to be a FAIL I did what any self-respecting seamstress would do: hide it in the cupboard, try to forget about it and IMMEDIATELY go on to the next project. Basically what happened was this: I acquired this awesome vintage Simplicity pattern from 1972 and decided to make it up in this lightweight cotton gingham which had arrived to me in the form of unused curtains from my friend's mum who decided she was no longer going to sew. In my anticipation to crack on, I noted the pattern's size was a 34" bust, remembered I measure 36" and INSTEAD OF DOING THE SENSIBLE THING AND MEASURING THE PATTERN, I went ahead and added an extra two inches all round when cutting out and carried on making it like an eager puppy. At this point I feel I must add, although the outcome may appear simple, this pattern was challenging and took longer than most my projects so far this year. The faced bib panel had to fit correctly with the pin-tucked yoke section but was extra tricky to do as I decided to cut it on the bias, and did I mention it's faced? Plus the fiddley button loops took a hundred attempts, and the opening required a little panel for modesty's sake. As with all my creations, I obsessively overlocked all the raw edges inside. Anyhow, I gritted my teeth and followed the instructions as best I could and was very pleased with the result. Then I tried it on. WAY too big. It looks ok in the photos where I'm modelling it, but believe me that it's all in the way I'm standing and the excess it hidden at the back (I can't stand like this all day in real life!). I can't, and basically don't want, to try to think of an effective way to make it smaller without taking out the sleeves and a whole load of jazz. I'd much rather just give it away to someone bigger than myself and chalk it up to experience. So if you, or a friend, daughter, colleague etc. with roughly a 38" or 39" chest would get some wear from this, please leave a comment with an email address so I can contact you for your address to send it to. At midnight next Thursday (22nd April), I'll see if there are any takers, and if there is more than one I'll pick a number from a random generator. I'll send it anywhere in the world, no contribution for P&P is required, just promise me it won't sit unloved in a cupboard any more, I can't take the guilt! Please note, this giveaway is for the garment NOT the pattern, as one day when the pain from the experience has abated, I may give it another go! Sifting through my stash recently, I came across a piece of navy wool that I bought in a vintage store in London at Christmas. My initial and the more obvious choice for it would be to make a skirt. However, there was quite a lot of it but not enough to make two skirts; I hate waste so decided a dress would be my preferred course of action. Time to crack open my Macaron pattern which had been lying dormant in my possession for six months. Believe me when I tell you that I have previously spent a LOT of time considering different fabric combinations for this pattern. But when it came to actually making my version, there was only one natural choice for the contrast. I bought the red Eiffel Tower and birds printed fabric from Goldhawk Road in London yonks ago, and initially made it into a circle skirt. Having done so, I quickly remembered that I don’t really like circle skirts, and it was definitely not something I would at that point actually wear. To add insult to injury, I had made it at a time when my weight was fluctuating a lot and it rapidly became too small anyhow. I’m very pleased I had the foresight to bring it to bcn from UK so I could deploy its soft sateen texture and mental print for this dress. 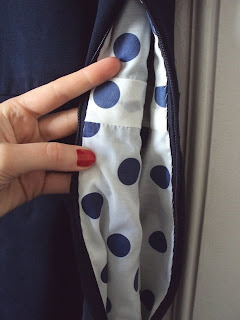 I know that there is a massive Pro-Pockets lobby within the online sewing community but I must admit, I’m not a fan of the in-seam variety. I rarely use them and feel they add unnecessary bulk over areas that generally I would prefer to be as bulk-free as possible, so I omitted the pockets on this dress. I also lengthened the hem about 5cms. I’m not sure the navy wool was the best choice for this dress, as it was difficult to press. It’s thickness and bulk creates a more exaggerated tulip shape to the skirt making it look quite party dress than I would have desired, but I’ve actually come to like that part of it. 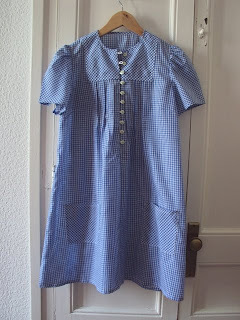 Also, because the wool has something of a scratchy school uniform quality, I had to line the dress from the top of the bustier down. With some creative cutting (read: ignoring the grainline when necessary) I was able to squeeze the lining pieces out of the remainder of the spotty lining I used for my blue Jenny skirt, so that’s that busted anyhow. I had to hand-stitch the lining it around the bustier line and zip opening, which took forever! Overall the makeup of the dress went well. However I did end up with a strange excess of fabric in the back bodice where the main fabric meets the contrast, so I unpicked that seam, repositioned it and had to ease the pieces back together to deal with the issue. One other criticism I’d make is that the usually very detailed and informative instructions fell a bit flat about how to insert the concealed zip into the side seam, which I know is not a hassle if you have the internet to hand to find a how-to, but I don’t think patterns should assume the sewer does. Personally, I didn’t want to stop my flow to find a how-to, so winged it and was pretty pleased with the result. 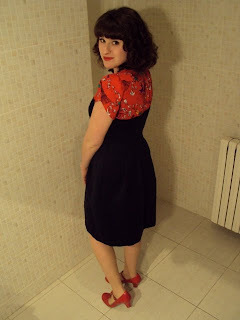 I was still finishing the hand-stitching at the eleventh hour before I had to get ready to go out on our date. Me and my boy have been living together for over a year, but we like to keep things special by going on dates now and then. 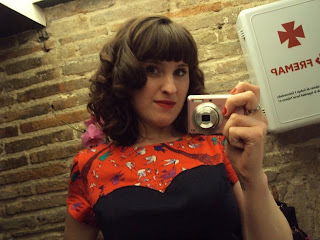 The date also gave me the excuse to attempt pin curls! Previously I’d been put off trying them as I don’t have any of the products or even a rat tail comb that the how-to’s advise you to use, but I decided to give it a whirl anyway and put five in around the front. My hair is pretty wavy anyway, so I didn’t bother at with the rest of it. Overall I think it gave a 50’s film starlet look! I used to know this girl who was a vegan who also didn't wear any leather shoes, bags etc., and generally avoided all potential ways of conributing to the death or discomfort of any living thing. EXCEPT she had a major weakness when it came to natural raw silk. There was just something about that type of fabric that affected her so deeply that it overcame her moral standing and made her purchase it whenever she initiated a suitable sewing project. In a similar vein, I have massive problems justifying the purchase of cotton due to the environmental damage caused by its production. Susannah at Cargo Cult Craft recently posted about and linked up an interesting report about the environmental impact of clothing which included the issues surrounding cotton production. (BTW, Susannah's post inspired some fascinating and inspired comments which I well recommend checking out.) 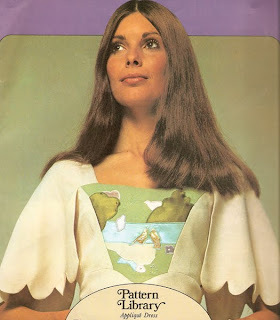 However, whilst Susannah was busy highlighting these issues of which I am aware and thoroughly concerned about, I was busy writing a post for the Colette Patterns blog eulogising Cotton Sateen and effectively promoting its use. Dichotomy? Yes. Any answers? Not really. My only justification is that I strongly believe that the 'slow fashion' option of sewing your own garments, which of course usually involves purchasing new fabric, is always going to result in less environmental damage than the purchase (and often very rapid consumption) of mass-manufactured garments. Similarly, the extra effort and time that goes into creating a garment from scratch, using a fabric that you hand-picked and adore, is much more likely to result in a garment that will be treasured, worn and mended when necessary than end up in a landfill nine months after its completion. When a garment has a high real or perceived value, its lifespan will be longer. Obviously the opposite is also true, with £3 T-shirts regularly being discarded like applecores. My first arguement would always be that it is better to use what is to hand, or what someone else no longer wants, before purchasing new. However, it is unlikely that even the most committed of us will never purchase new fabric for our sewing projects. And for the reasons described above, if we buy fabric that we really like, that will only contribute to our enjoyment of the process and final product and therefore lead to a longer life for it in the long run. Did I mention that I really like Cotton Sateen?! 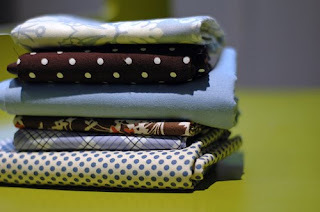 That's right people, the International Fabric Swap as hosted on this blog has drawn to a close. I came back this morning from a weekend away to find no takers for the lastest fabric offering. I subsequently acknowledge that the swap came to a natural end due to a gradual decrease in interest, but I would like to thank the lovely ladies that did participate who I am very pleased and lucky to have cyber-met in the process. I imagine that participants weren't forth coming for two main reasons. The cost of shipping fabric (not the lightest thing in the world, as anyone who has trudged home after a fabric shop blitz would agree) potentially to another continent is no-doubt off putting to many, which is completely understandable as the fabric being sent may have been purchasable locally for less. And hey, it's a crisis after all! The second reason I could see that might have dissuaded peops is the carbon footprint of sending something across the land or oceans. This of course does much to negate the original intention of attempting to encourage the use of existing materials rather than wasting the energy and resources required to produce new materials. I totally understand and share that concern. However, the fabric swap DID redistribute some pieces of previously unloved stash into the grateful and inspired arms of loving sewers, as well as publicising the Stash Bustin' challenge which I feel very strongly about. So what now? Well, to avoid excessively postage and environmental costs but still pass on fabric you aren't inspired by and/or acquire fabric that does float your creative boat; I would heavily suggest hosting a real life fabric swap! The London sewing group I was formerly part of hosted one of these once and it was a massive success. I'm sure there is a heap of different ways you could work it, but the formular we used goes like this: everyone who has brought unwanted stash with them holds up and shows each other what they have brought then puts it out in front of them. The show kicks off by one person picking a piece of someone else’s fabric offerings to become theirs. The person who is now 'deficient' then gets to pick a piece that has caught their eye from anyone else’s offerings. Whoever originally owned that piece of fabric then gets to pick someone else’s piece that has taken their fancy. So on and so forth until the remainders which aren't passionately desired get generally given away or taken back home. It's perhaps not the absolute fairest method, but it worked for us. So, if you are part of a sewing group/club/meetup, or are lucky enough to have a group of crafty friends, why don't you host your own fabric swap? This could be a fun event as well as a way to off-load/obtain otherwise dormant fabric. Maybe it could also turn into a way to raise funds for charity. Maybe it could include wool, or other creative materials. Also, don't over look Freecycle and charity shops as a source to pass on or acquire fabric. There are many ways that we can redistribute the things that already exist that are currently sitting about unused. If you have had any successful swap experiences or ideas for how they could be hosted smoothly, please leave them in the comments section. I, and other potential fabric swappers, would love to hear them. If you read my previous post, you will already be aware of what I would like to formally announce here: the Me-Made-May Challenge! Hot on the heels of a successful Me-Made-March wearing only items made by my own fair hands (excluding bras, socks, tights and shoes), the concept is returning but this time I aim to make it bigger, brighter, more colourful and more fun. Details of how I personally plan to do this will be disclosed in future posts. 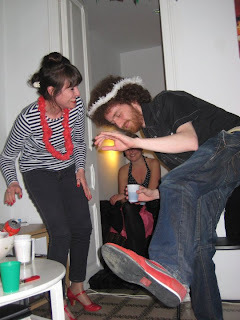 But the most important distinction between Me-Made-March and Me-Made-May is that YOU TOO can play!!!!! However, do not fear, I am not suggesting you go all out as I plan to do. Maybe you would prefer 'Me-Made-May-Lite', in which you aim to wear at least one handmade garment each day throughout May. OR, if you haven't been sewing that long and/or feel you don't have enough handmade garments but still want to play (as some lovely commenters have stated), why don't you try and wear one handmade item a day for a week, or only at the weekends throughout May? Already many lovely and creative seamsters have 'signed up' but, as with almost every activity I can think of, the more the merrier! So please publicise this challenge on your blog if you have one, including a link to this post if you would be so kind, as a means of explanation. If you do want to get involved, please leave me a comment on this or the previous post including a link to your blog if you have one. As May draws closer, I will create a Me-Made-May Support Group post linking everyone who is involved in whatever way who wishes to be linked. From my experience of Me-Made-March, you really don't need to have as many handmade garments as you might think. You may recall, for the majority of the month I alternated between just two tops! A lot of the challenge (and fun) is taking what you have made and working out different outfits to work it into. 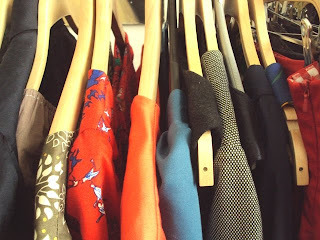 And if you have a blog, don't forget to document any preparations on the run up to May, and the handmade garments in action throughout the month itself! Now Me-Made-March is over I am refocussing on my commitment to Stash Bustin'. I haven't bought any new fabric in an age and I promise I have been diligently working through my stash for my recent projects, both that I have previously unveiled to you since the Stash Bustin' challenge was announced and those that are presently unfinished and subsequently 'secrets'. But a serious look at what's lurking in there, and some consideration as to appropriate uses/patterns is going to be necessary to achieve my target of having bugger-all left by the time packing up and moving to UK rocks around (in four months!). I also have a big pile of clothes that require some refashioning which I didn't feel was appropriate to work on during March, as it would involve trying on non-me-made clothes. Argueably, that's being a bit of a purist, but I wanted to do the challange thoroughly. I must admit, I am sad that my Me-Made-March project has drawn to a close. Each day I enjoyed rising to the challenge of forming some sort of passable outfit from the random fruits of my sewing machine to more or less protect me from the elements and allow me to go about my business without recieving any 'crafty crazy lady' comments or stares. Somehow I think I avoided those, and I work with children and teenagers, and they can be harsh! But although I did managed to keep myself covered and sane-looking in me-made clothes throughout March, looking at the documentation photos I was a bit disappointed at what I would consider a somewhat dull appearance at times. I want to not only cover myself vaguely appropriately by society's standards, but to look good consistantly by my standards. So, I announce to you, ladies and gentlemen: Me-Made-May!!!! That's right, I'm going to be doing it again, a whole month in handmade (excluding bras, socks, tights and shoes) but this time it's going to be bigger, brighter and more fun! A more summery climate will help of course, but I want to be proud of my daily handmade outfits and feel my personality has been more accurately reflected. So, anyone want to join me? If you don't fancy the whole shebang, maybe you could attempt 'Me-Made-May-Lite' and wear at least one handmade garment each day throughout May? I would LOVE to have a partner/s. If you are interested, please leave a comment and we can form a support group! If you are tempted but not entirely convinced, just look at the photo above and see how much fun can be had in handmade clothes! Fabric Swap Round 6 ROLLOVER! Remember what you have to do to become its new owner? 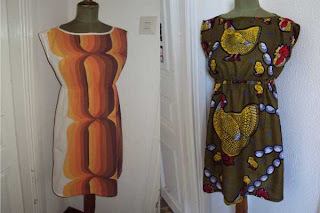 You have to email me at sozoblog@gmail.com with your name, email address, postal address, a picture of the piece of stash fabric you are offering up and a short description of that fabric (width and length of fabric and fibre content if known will suffice). Mark the subject of your email 'FABRIC SWAP 6'. I'll select a recipient at midnight Sunday 11th April using a random number generator and inform them Monday morning, and post the next piece of fabric. However, at risk of being The Girl That Cried Wolf (or more accurately, The Girl That Cried End of Fabric Swap), if there is no interest in this fabric by next Sunday, I will be wrapping up this blog-based fabric swap and moving onto a different project. Round 6 and a half! Ding ding!!! You may or may not recall that last year I became something of a Pro-Blouse campaigner. Well, naturally my dedication wained somewhat during winter, but with the first signs of Spring I have felt it return with avengeance. Simply put: I loves me a cute blouse. I've had this pattern from the 1/2008 Burda magazine in mind for sometime, and with the weather and fabric complying, I knew it was time. 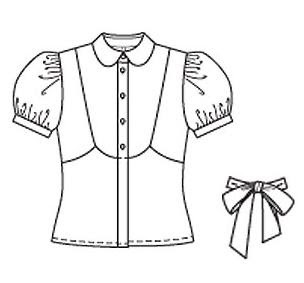 I mean look at the sum of it's parts: short puffy sleeves that do not require a button opening, rounded collar AND a bib panel?! Basically, this pattern is so up my street that we often lend each other cups of sugar! So this is my version. I told myself it was going to be a (fingers crossed) wearable toile more than anything else, since I can never be arsed to make a normal toile, and it is subsequently unlikely to fit perfectly. 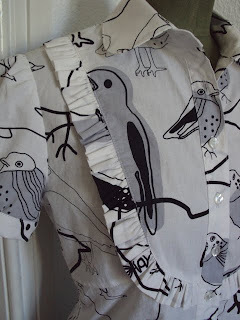 The fabric was very cheap printed cotton from Ikea that I've had in my stash for over a year, with BIRDS! I frikkin' love bird anything, me. 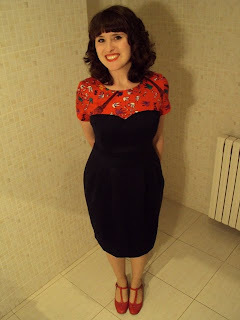 I've seen others on Burdastyle use this fabric too and all the outcomes have been very sweet. I decided to add a ruffle to breakup the mental pattern a bit, and to emphasise the bib panel which would probably have got lost in the busy-ness. The buttons are boring plain white ones I had in my stash, but I thought it best to keep that element plain with all the craziness going on. The pattern actually has a concealed button placket thing going on, which is why there are no visible buttons below the bib section on the technical drawing above, but I thought that was a bridge too far for me and eliminated that detail. I've noticed Burda magazine does tend to over-design their styles on occasion. So, inevitably the question of fit must be answered. No, it doesn't fit perfectly. I did what I always do with Burda magazine and Burdastyle patterns, I carefully and honestly measure myself (no vanity measuring round here! 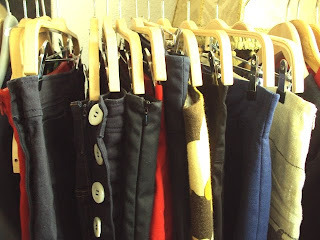 ), dutifully pick the size that corresponds with said measurements, cut and make it. And it ALWAYS turns out too big. I think I must have had a few painful disasters that I've blocked from my memory of making garments irrevocably small in the past which forces me to never to heed my Burda lessons and go off-piste with their prescribed sizing. 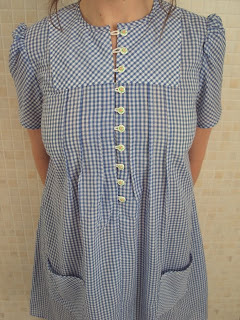 Basically this blouse is fine around the waist/hips but is about one size too big over the bust and one or one and a half sizes too big around the shoulders. I'm guessing I like my garments to have less ease than the Burdas deem appropiate. Ah, next time...? Despite, or more likely because of, the fit issues, this blouse is extremely comfortably and doesn't look too bad. I've worn it almost every day since it's completion (that's only a few days, I'm not a scuzz!). I've got a heap of variations in mind for more of these blouses, and I'm wondering how many I can jam into my wardrobe before people start to realise that I'm continously wearing the same garment. 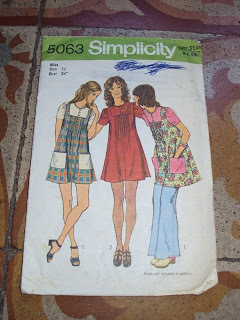 Still, I thought that about Built by Wendy/Simplicity 3835 when that pattern crush hit hard. Such concerns didn't stop me making six versions based on that pattern! The End of Me-Made-March: Day 31! 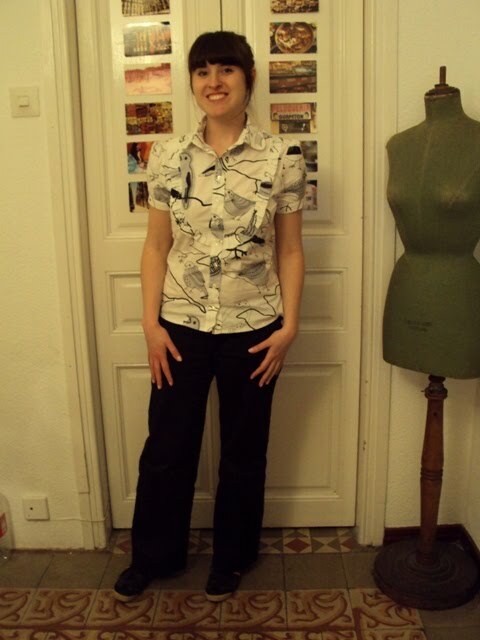 Me-made sailor trousers, blouse, Saint cardigan (not worn in this pic, obviously) and pants. Yes, NO vest! The last day of March was officially the first day of Spring, if my vest wearing antics dictate such things (as they do round our way). 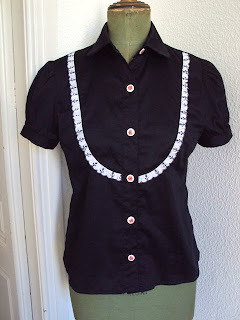 I celebrated the final day by wearing a new blouse, hot off the sewing machine, which I will blog about in more detail soon. Thanks very much those of you who have followed my little challenge. On a personal level, I think this challenge has succeeded in making my relationship with my handmade garments a more comfortable, forgiving and dependable one. I freely admit, most of my pants were a little small, the zip on my jeggings wouldn't always close due to over-use and my Saint cardigan has become bobbley, but by and large my garments have held up very well, possibly as well as mass-manufactured garments would have under similar stress. 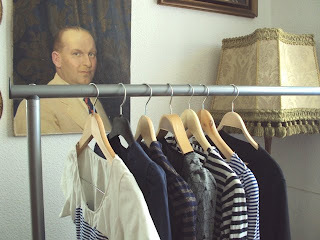 I am now able to analyse which type of garments I have many of, and which I need to focus on producing in the future if I am to follow my aim of being increasingly self-sufficient in the items I consume. For example, I didn't realise I had so many skirts! I have never worn skirts as frequently as I have this month. I always felt a bit 'done-up' when wearing a skirt, and would rush to change out of it as soon as I returned home. In fact I didn't do any changing out of outfits when I got home all month, and learnt that skirts can actually be just as comfortable as trousers, if not more so. For example, I was pretty ill on Day 20, and it was my skirtain that I turned to in the absence of a cosy dressing gown or fluffy pyjamas. The thing that has made me really happy though is all the lovely comments that I have received throughout the month, whether regarding a specific garment, or the project in general: they were all very much appreciated. I was particularly pleased when people commented that I had inspired them to wear more self-made items themselves. 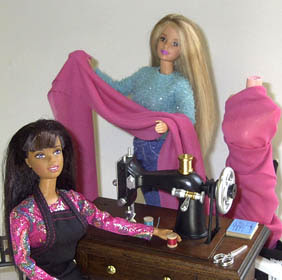 If everyone who can sew begins to increasingly rely on themselves to produce their clothing, I believe it would encourage more people to give sewing and making things by hand in general a whirl, and start to create a more viable and visible alternative to the excessive consumption 'Western' countries seem to be cureently trapped in. Sewing is a political activity people! Arm yourself with some nice fabric and cool patterns today! I've spent a fair amount of time in the past messing about trying to create various effects with tucks, and I really wish I'd read the article I recently found in an old issue of Golden Hands before I'd ever started. Anyways, the beautiful illustrations which accompanied the article are giving me the impetus to try again. Why don't you have a look at them yourself (which I have thoughfully combined with nuggets of practical advice that I cherry-picked from the article itself) and see if they work a similar magic?